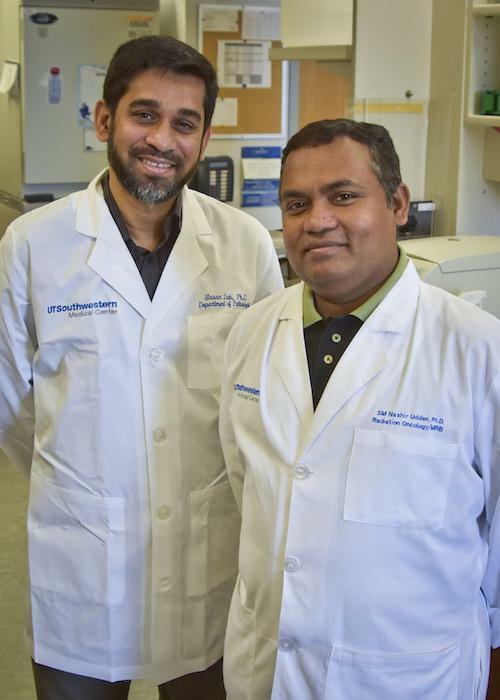 DALLAS – April 15, 2019 – UT Southwestern researchers have found that a protein in the body’s innate immune system that responds to gut microbes can suppress the most common type of liver cancer. UTSW co-authors include: lead author Dr. SM Nashir Udden, a former postdoctoral researcher in the Zaki lab and now an Instructor in Radiation Oncology; Dr. Youn-tae Kwak, a Research Associate in the Zaki lab and Senior Scientist in Biochemistry; Research Assistant Victoria Godry; Dr. Shahanshah Khan, postdoctoral research associate in the Zaki lab; Nicholas Loof, Manager of shared facilities at the Children’s Medical Center Research Institute at UT Southwestern (CRI); Dr. Lan Peng, Associate Professor of Pathology at UTSW; and Dr. Hao Zhu, Associate Professor at CRI and of Internal Medicine and Pediatrics at UTSW. The study received support from the Cancer Prevention and Research Institute of Texas (CPRIT) and from UT Southwestern.